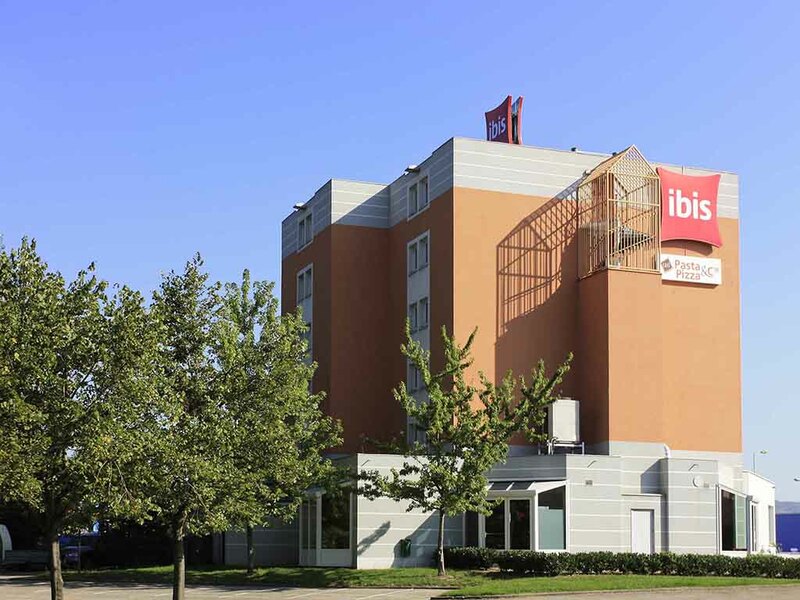 The ibis Lyon Sud Chasse-sur-Rhône hotel is located 9.3 miles (15 km) south of Lyons and 5 miles (8 km) north of Vienne, at the intersection of the A7, A47 and A46 highways. The hotel has 58 soundproofed and air-conditioned rooms (connecting rooms) with free WIFI. It also has 2 conference rooms, a free car park (which is locked at night) and a bar with a 24-hour snack service. Try our grilled dishes and Italian specialties every evening and at lunchtime on weekdays in our Pasta Pizza restaurant. Hotel is 9.3 miles south of Lyons and 5 miles north of Vienne. Our Pasta Pizza restaurant is open from 7pm to 10pm on weekdays. Come and discover our Italian specialties, regional dishes and grills.